Home » CD and DVD cardboard packages – the ecological way! We offer you a great variety of packaging solutions for CD, DVD und Blu Ray with high quality cartonage, as an ecolgical alternative with non plastic fixation of the CD, DVD and Blu-Ray or as you might like, with glued plastic tray. Spot colors, brilliant lacquering, matte lacquering with raw surface, or FSC certificated cardboards are not a problem. Please contact us! The Classic. Simpel, but effective! Packaging and printing matters in one hand. You can get the packaging with different numbers of pages and a lot of variations – with up to 4 trays. The Tray gives a good stability and enough safety for the CD. To prevent damage to the print products we manufacture all confection parts manual. Digipaks are available in 3 standard sizes for CD, DVD and Blu-ray. Some variations of this product you also get in small series, digital printed! The ecological form of Digipaks. The pure cardboard package carries the disc with the help from a slit. Also Digifiles are available in many variations. To prevent damage to the print products we manufacture all confection parts manual. Spot colors, matt lamination etc. are possible . Please contact us for more details! You can get some variations of this product also in small series, digital printed! Similar to the Digifile the Digisleeve can be complete without plastic parts and trays. The media and the Standard Booklets too will be inserted in the open sides of the cardboard panels. Digisleeves are available in different numbers of pages and variations. The Jakebox impresses with its unique disc-fixture. It looks like an Origami artwork – CD or DVD are really served to the user with folding-out. A nice idea! To that the Jakebox is manufactured entirely from cardboard and easy to recycle. is also a sort of packaging, wich comes completely without the use of plastic material. Made of clorine-free-bleached cardboard, this product is able to return into the cycle of raw materials. 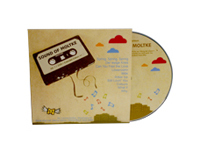 The disc is kept by 2 cartonage flaps and is suitable in particular for packing CDs. is a special case for the Jewel-Box. Produced as an cardboard envelope, you get a lot of designing opportunities for an attractive and high quality look for your product. The CD-O Card is meanwhile available for many envelope sizes, naturally also for the DVD Box. is another clever variation of packaging from Disc Partner. It rejects the usage of plastic materials, is made of clorine-free-bleached cardboard and is going to be recycled easily. Up to two discs can be kept with cardboard flaps. This is an ideal opportunity for promotion and mailings. Made up of 100% cardboard, it offers sample packaging protection for those suppliers who are environmentally aware. The disc is hold by two strong carton flaps. The weight incl. 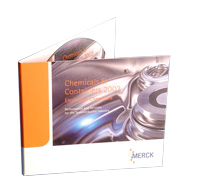 disc can be under 50 g – leading to lower specific costs for mailings! The new evolution of CD-packaging with high-standards on its attractiveness, convenience and machine & manual workmanship. Another focus was on environmentally awareness. The Discbox Slider comes with standard sizes for CD packaging and an approximately 60% reduced weight compared with the Jewel Box. As a case for more discs, so called box-sets are especially suitable for our individual manufactured cardboard packages. And a lot more ….! Contact us.